“Lincoln on Leadership” by Donald T. Phillips. “Failure is not an Option.” This is fitting for Space Coast and my personality. I started running for the exercise and I signed up for a marathon because I figured that would keep me motivated. What I did not count on was how much I enjoyed running once I got into it. After I ran my first marathon, I was hooked! 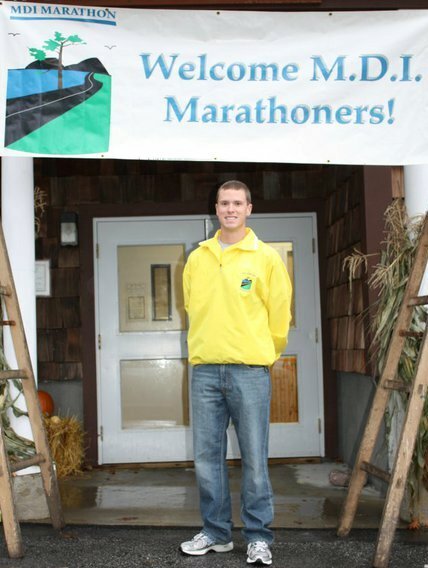 The best marathon memory I have is of the 2011 Mount Desert Island Marathon. This was my third year in a row running this race, and for some reason (mostly the hills) I always faded badly in the back half of the course. Not this time. With the help of my family cheering me on, I crossed the finish line with a new marathon overall PR and 30+ minute improvement on my time from the 2010 MDI marathon. I owe many thanks to some motivating pacers that helped me reach my last goal of a sub 3:30 marathon, and I hope to return the favor by helping others at Space Coast in November. We will have fun on the course and we will reach your time goal! You have done the work and the “hay is in the barn”; our group will enjoy the course and the atmosphere come race day!